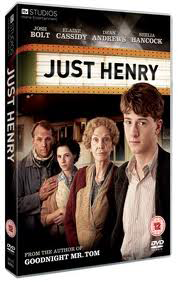 Adapted from Michelle Magorian’s Costa Book Prize winning novel, Just Henry is a drama set in post-Second World War. It premiered on ITV1 on 18 December, 2011. Henry’s life has not been easy. Having lost his father in the war and seen his mother remarry soon after, the youngster has become troubled, suffering nightmares and taking no interest in his education. But when his father’s posthumous medal for bravery arrives in the post, he decides to go searching for answers about his death, leading to a series of surprises. 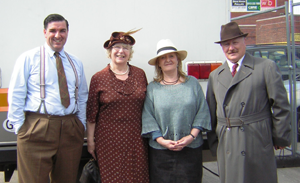 Josh Bolt leads the cast, which includes Dean Andrews, Elaine Cassidy, Stephen Campbell Moore, Barbara Flynn, Sheila Hancock, John Henshaw and Pooky Quesnel. Henry is struggling to come to terms with the death of his father, a war hero and, according to Henry’s paternal grandmother, all round nice guy. Then Henry mysteriously receives his dad’s medal in the post and starts asking questions — getting answers he’s not always happy to hear. Based on Michelle Magorian’s novel set in the years just after the Second World War, it’s shot through with glorious film references from the period. You’ll see where the story’s heading immediately, but it’s an absorbing slice of nostalgia starring Nowhere Boy’s Josh Bolt, with Elaine Cassidy and Barbara Flynn. Sheila Hancock is mesmerising as the misguided, meddling gran.